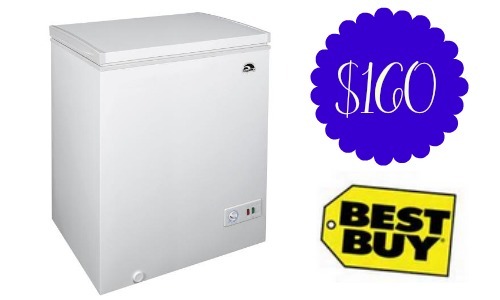 Looking for a deal on a chest freezer? Best Buy is offering the Igloo 5.1 Cu. Ft. White Chest Freezer (FRF520) for $159.99, regularly $220. This chest comes with plenty of positive reviews and is a great buy if you buy in bulk or need more space for freezer meals! Offer valid for a limited time. Delivery available in most areas or you can choose FREE in-store pickup.